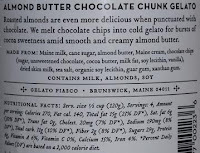 [New for June 2015] Of the three new flavors Gelato Fiasco sent to me and Nick, this will be the only one I take the lead on since Nick does most of our coffee reviews and he's got something in store next weekend for the excellent sriracha flavor they sent over. funny, as it tempers in front of me, the aroma of almonds is wafting up towards me. I love how it looks like almond cookies & cream. Oh man that smell just keeps calling me in. Wish me luck! Wow, so textured. The almond bits are just obliterated and literally everywhere. The chocolate is no slouch either. This one is almond flavor first with a chocolate note to round things out. Interesting. Let's take a few more bites. Yeah, texture is the name of the game on this one. Almond flavoring second (almond the nut vs almond extract mind you). Chocolate keep things interesting for someone like me who's not a huge almond buff. This is kind of like Talenti's Toasted Almond flavor, but turned up to 11. Man this stuff is fun to look at on my spoon. Tiny chocolate specs and you can see bits of both the lighter inside and darker outside of the almond. What? I could just stare at this all day and not even eat it... ok, I would eat it eventually, but I'm just happy staring at it. Ok, I should be reviewing more, sorry. 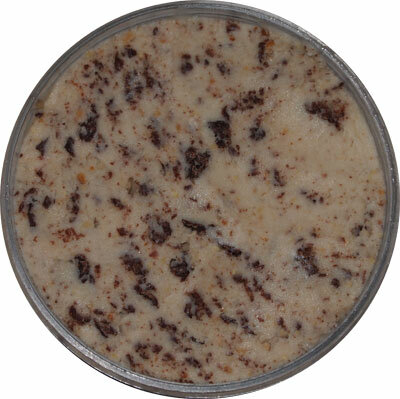 This one isn't salty or sweet, it's just almond with a nice note of chocolate (neither too dark nor too milky). It's being what it set out to be. It's not really my thing, but the execution is just delightful. 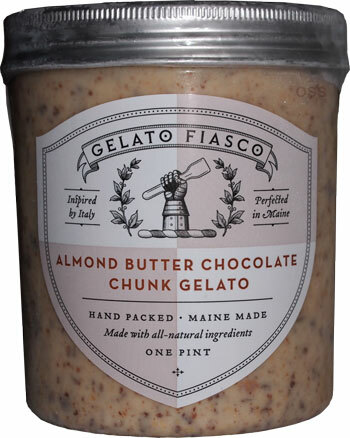 It's got their excellent gelato texture and quality, it's just choke full of stuff, it's gorgeous, and if you love almonds you will absolutely adore this. And now it's time to debate if I want another serving. Well done GF. Final thoughts: ok, I just stole one more scooping for some better photos and I hope it's clear that this is an excellent product. 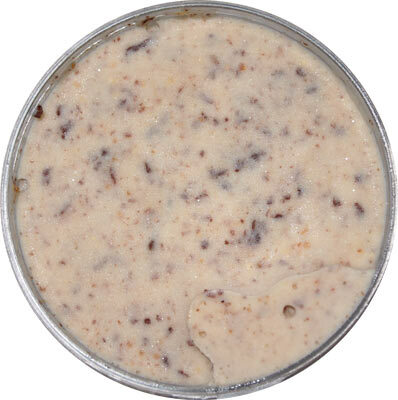 I adore products with a rich texture and this has that in spades. I just don't love-love it because I don't love-love almonds. I hope that makes sense! Well this is totally my thing, so I MUST find this! Man oh man, I wish Gelato Fiasco was easier to find around here. Hope Nick does more of the Gelato Fiasco reviews, since he's the one who highly recommends the products. P.S. - No disrespect to you, Dubba, with my comment! I apologize if my comment came off that way. I just mean that, because Nick raves about this brand, I tend to look forward to his take on this particular brand's flavors (existing and brand new). @alek: big fan of GF. 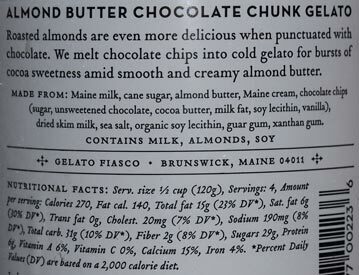 I can't even get Jeni's around here (and at $12 a pint I would never buy it anyway). Liz, I will sample this one soon enough and leave my won comments at the bottom. There has been some flavors I wasn't fond of, their Dark Chocolate Peppermint Sorbetto was far too intense for me. As a whole, I do love this brand and they rarely disappoint. Dubba, pretty sure we'll be at 22 by the end of the year if I'm doing the math right. I have that one other flavor they sent me that's not new. Alek, pretty sure you thought I was reviewing this. I think GF is better than Jeni's in every possible way. While I've tried far more gf flavors than Jeni's, not one of the Jeni's flavors I have had have been better than gf's similar options. The price is irrelevant here when it comes to quality because I'd be willing to pay $10 for a pint of GF especially their s'mores flavor.